Nikolay Dobretsov was elected a member of the Academy of Sciences of the USSR in 1987 (a corresponding member from 1984). He became a vice-president of the Russian Academy of Sciences and the chairman of the Siberian Branch. Nikolay Dobretsov is a director general of Trofimuk United Institute of Geology, Geophysics and Mineralogy (UIGGM), a director of the Geological Institute of UIGGM. The primary focus of his research is in the fields of mineralogy, geology, petrology and tectonics. 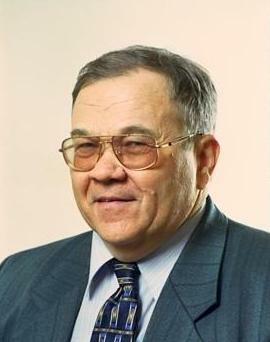 Nikolay Dobretsov has authored and co-authored over 500 scientific papers including 22 books. In 1976 Nikolay Dobretsov received the Lenin prize, in 1997 he was awarded the state prize of the Russian Federation and in 1999 he received the Demidov prize. After the graduation from the Plekhanov Mining Institute in Leningrad in 1957 Nikolay Dobretsov worked as a geologist, a head of a group in geological survey expedition in Altai (1957-1960). In the Institute of Geology and Geophysics of the Siberian Branch he was a research fellow (1960-1071), then a head of a laboratory (1972-1980). In the Institute of Tectonics and Geophysics of the Far Eastern Scientific Centre of the Siberian Branch he was a head of laboratory (1971-1972). He was a director of the Geological Institute of the Buryat Scientific Centre of the Siberian Branch (1980-1988), and the chairman of the Buryat Scientific Centre from 1987. In 1988 he became the director of the Institute of Geology and Geophysics and the director general of Trofimuk United Institute of Geology, Geophysics and Mineralogy and the director of the Geological Institute of UIGGM (since 1990). Since 1997 Nikolay Dobretsov is the chairman of the Siberian Branch and a vice-president of the Russian Academy of Sciences. Nikolay Dobretsov is a member of the Petrografic and Tectonic Committees of the Russian Academy of Sciences, a member of the National Committee on the International Geosphere-Biosphere Programme (IGBP), and other scientific committees. He is a member of the editorial boards of several scientific journals. Nikolay Dobretsov is a vice-president of the Association of Academies of Sciences in Asia (AASA), a foreign member of several academies, a honorary doctor of a number of universities in Russia and abroad. In recognition of his accomplishments in civil service, Nikolay Dobretsov became a Cavalier of the Order of the Red Banner of Labour in 1986.